There is often such a push to meet the demands of a 'busy' life and the challenges of a job or workplace that people neglect to invest sufficiently and consistently in their wellbeing. Although people can know the importance of wellbeing, this knowledge just isn't enough. Their action drops. They form 'bad' habits. Routines that once built and sustained wellbeing get replaced as every spare moment is used to squeeze out some more performance or tick off more 'to do list' items. Although someone may feel like they're doing everything they can to cope with the difficulties they face, some of their coping strategies can be counterproductive (and others even downright risky or unhealthy). Replacing important moments to disconnect from work to rest in favour of sending more emails and ticking off more tasks is just one example. As is missing the opportunities for exercise or a healthy lunch break as you push to unrealistic goals or deadlines. Perhaps this sounds a little familiar? When this sort of spiral continues and people stay tunnel visioned on the 'perform at all cost' focus, it can be some time (even years) before a person realises how far off track they've gone, and how unwell they have become. This is all sounding a little 'doom and gloom', however, so it's important to point out that there are ways to break the cycle. People can bring back their awareness of important wellbeing building routines in life and work. When they do, and they make time to invest in their wellbeing, the spiral reverses. It heads upwards towards greater wellbeing. Over time as wellbeing is restored, and a new perspective on performance is realised. The person remembers that they fundamentally need wellbeing in order to be able to perform at their best and sustain this over time. 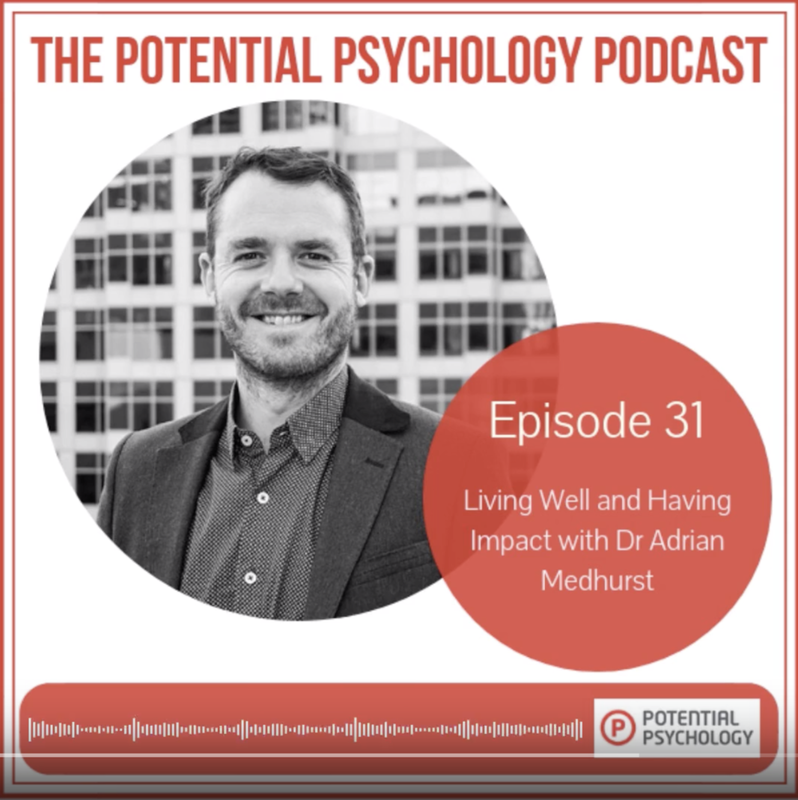 In this podcast we explore the 'Live Well, Have Impact' intention that sits at the heart of the above challenge. It drives us at Benny Button - like a mantra we use every day. When working with people and organisations this key message reveals how vital it is to be in sync when it comes to focusing on performance as well as wellbeing, and that work and life domains must also be in sync in order for everyone to realise their potential. What are the implications if 20% of your key performers are burning out and becoming depleted and disengaged? Do you think it is more valuable to develop your high-performers by 5-10%, or invest in the middle 60% of your workforce? If employees with greater wellbeing are more productive, are wellbeing interventions and practices 'nice to have' or essential? 'The Crux of Human Resource Development' is linked with the above questions. A portrait exhibited in the Archibald exhibition at the Art Gallery of NSW recently inspired me. The work is titled ‘The inner stillness of Eileen Kramer’ by Andrew Lloyd Greensmith. Eileen Kramer is 102 years old and as the description of the painting pointed out, “she personifies the key to longevity and a full, rich life.” She is currently the worlds oldest working dancer/choreographer as well as a poet, artist and costume designer. She has been travelling the world living in places such as India, Paris, London and New York and recently returned to Australia, aged 99. How Benny helps organisations and their employees Live Well and Have Impact!